Denise and Silas continue to explain how Silas used Avery to save Ava&apos;s life and how angry Ava was about it. Silas admitted he kidnapped Avery then returned her while Ava worried that she&apos;d return to prison. Anna congratulates Jordan on her new position as commissioner. She assures Jordan that she&apos;ll do a great job. Jordan interviews Valerie for the assistant position and gives her the job. Valerie offers to take Dante and Lulu out for dinner to celebrate. Tracy leaves Dillon in charge of Avery while she gets ready for the party. Lulu drops by and has a reunion with Dillon. Nathan arrests Nina and brings her to the station, where Franco is waiting. Franco tells Nina that he told the authorities that she kidnapped Avery. Nina says Franco&apos;s making it up. Franco claims he&apos;ll retract the statement if she signs annulment papers. Dante tells Olivia that Julian is leaving the mob so that she can bring the baby home. Olivia disagrees and says she&apos;s leaving town to be with Ned and the baby. Luke pays Anna a visit and offers his condolences about Duke. He says he feels responsible since he decided to work with Julian. Luke invites her to the party at The Haunted Star, but Anna says she&apos;s leaving town. She explains she plans to spread Duke&apos;s ashes in Glasgow. The two say their goodbyes. Anna leaves town. 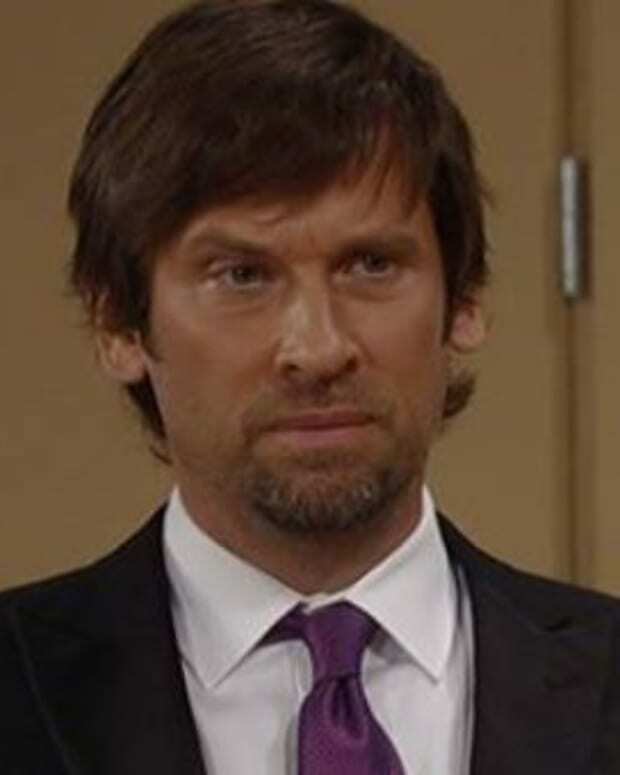 Silas pushes Denise until she admits that she is Ava.